Charyn has come of age and desperately wants to learn more so that he can become an effective rex after his father - but he's kept at a distance by the rex. So Charyn sets out to educate himself - circumspectly. When Jarolian privateers disrupt Solidar's shipping, someone attempts to kill Charyn's younger brother as an act of protest. Threatening notes follow in the wake of acts of violence against the rex and his family, demanding action - build more ships or expect someone to die. As I have followed this series it amazes me that the author can continue to pull out new twists in the saga and still keep continuity with the preceding books. 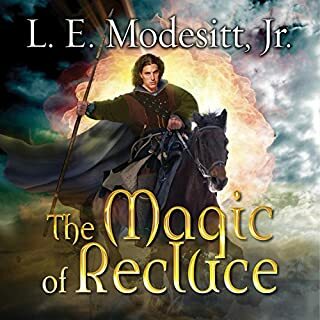 Modesitt is as always a great story teller and his ability to foster a connection between his protagonist and the reader is alive and well. However, this should have been simply a period piece fiction without any association to imagers. Writing is good but if it’s in the imagers portfolio I would have hoped it was inclusive of more imaging. Different, not quite as good. 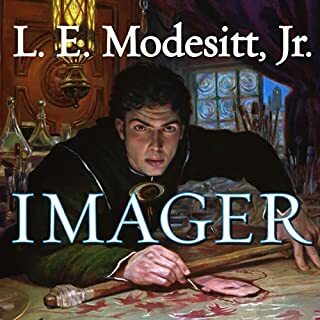 The first thing listeners will notice about this volume of the imager's portfolio is that the main character this time around isn't an imager. 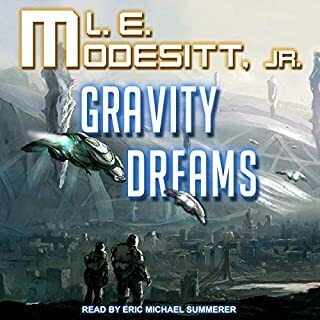 Overall, the story follows the expected trend of Modessitts other imager books, though I think this one falls a bit short of the previous stories. The intrigue was predictable and the villain almost more of a stereotype than a really interesting character. Overall, this one will only really be a must buy for the dedicated fan of the series. Enjoyable for what it is, but nothing really exciting about the developments. The genius of the Imager books is how it restricts the near omnipotence of its protagonists through societal forces giving room to essentially medieval spy stories. 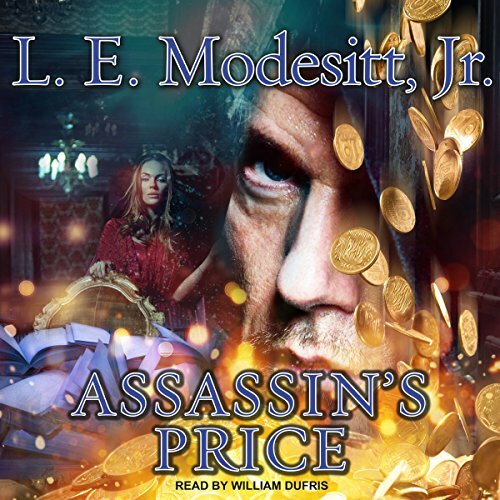 Assassin's Price is now the first book not staring an Imager as main protagonist and despite leading to a less action rich story it stays interesting. For series veterans - and frankly you should read all previous books before this one - it gives a fresh perspective on known characters. Despite the changes the new main character still fights with the limitations of his in theory unlimited powers as Rex of Solidar. Also thanks to an excellent narrator each book of the series feels like coming home and while I prefer the action rich early books, I can suggest this to anyone who has followed the series up to this point. For newcomers too much familiarity with the characters is assumed. Not to mention that they can pick from better books I the series. 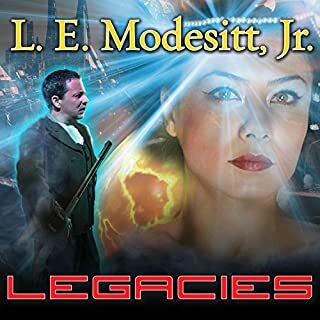 I have listened or read every Modesitt book in the Saga of Recluce, Corean Chronicles, and Imager Portfolio, and this is the first one I that even mildly disappointed me. It wasn't that the main character was not an imager, it was the repetitive nature of the book and the complete lack of anything like a twist in the story. It seemed like the same three scenes in the book were repeated four or five times. Charyn feeling guilty about his girlfriend/mistress and being overly nice and sappy to her, Charyn's brother complaining about being stuck in the house, and an assassination attempt. Repeat four times, Charyn catches the bad guy, who he knew was the bad guy the whole book, the end. By the end I was just glad it was over. 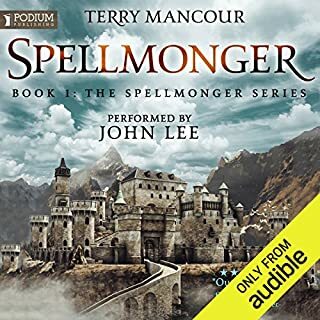 I'm writing this review as I check Audible.com to see if there are any new Modesitt books available to download, so I haven't given up on the author or anything like that. As always Modesitt never fails to write a great story, was definitely interesting that the main character wasn't an imager. I really liked this book. The past couple of books were getting repetative. With a new narrator and point of view. 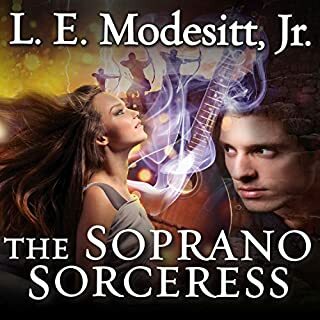 Modesitt has lit a new spark on his imaginative and thoughtful world.